A unique environment among the roman scene, only 10 minutes away from Saint Peter's square. Surrounded by a beautiful green courtyard and built according to modern architectural criteria, with natural light, meeting places and learning areas. A wonderful place where to live and grow. Residenza UER welcomes the students of the Università Europea di Roma in a modern and lively living space, immediately adjacent all’Università, to the University, designed to accommodate young university students in a place that is, above all, an opportunity formeeting, growth and training. Through the experience of community and sharing, training meetings and personal accompaniment, thanks to a team of trainers always available, Residenza UER is a privileged environment for the integrative training of the students who live there, in full continuity with the Università Europea di Roma’s project..
To see all the information about the Career & Open Day, please visit the following link (in Italian). 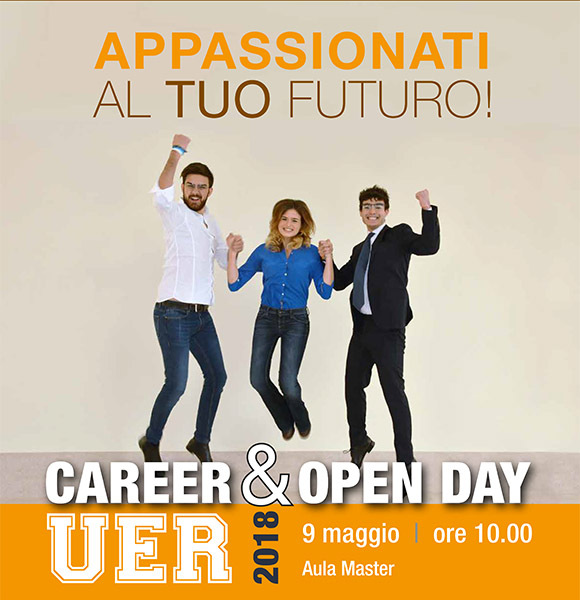 Competition “Made in UER 2018”: 1000 € for the best professional path, offered by the European University of Rome during the 2018 Career Day which will be held on May 9th. Watch the video gallery of the contest. The competition will award the best video-testimony of the Bachelor’s, Master’s and PhD Degree graduates of the European University of Rome. For further information, visit the following link (in Italian). More space for education: The European University of Rome has built its campus according to a modern architectural criteria, without barriers, in the countryside with lots of space to live and share: study areas, library, leisure areas, cafeteria, classrooms available for students even when there are no classes. A campus to be lived throughout the day. The teaching and administrative staff are always available to provide fast answers and avoid unnecessary waiting. The University is equipped with plenty of free parking areas and is easily reached by public transport (10 minutes by train from the Stazione di San Pietro). Furthermore, fast and free WiFi is available everywhere, in order to share knowledge and university life. Security and control are an important point for the University management; a surveillance dedicated service is available 24 a day. The Job Placement Departmental Centre (CDJP) of the European University of Rome ensures the relationship between the University and the professional world. The goal is to guide and accompany students in the path of integration into the labour market in line with their skills and aptitudes. – LAW: for post-graduate internships in Law, visit the Lawyers Association’s website of each province. Tutoring is an individual counseling activity coordinated by the CEFI and academics Areas, which promotes the full integration of students into university life, helps them to be effective in studying and encourages them to improve their training. The tutoring is an elective service, although strongly recommended. 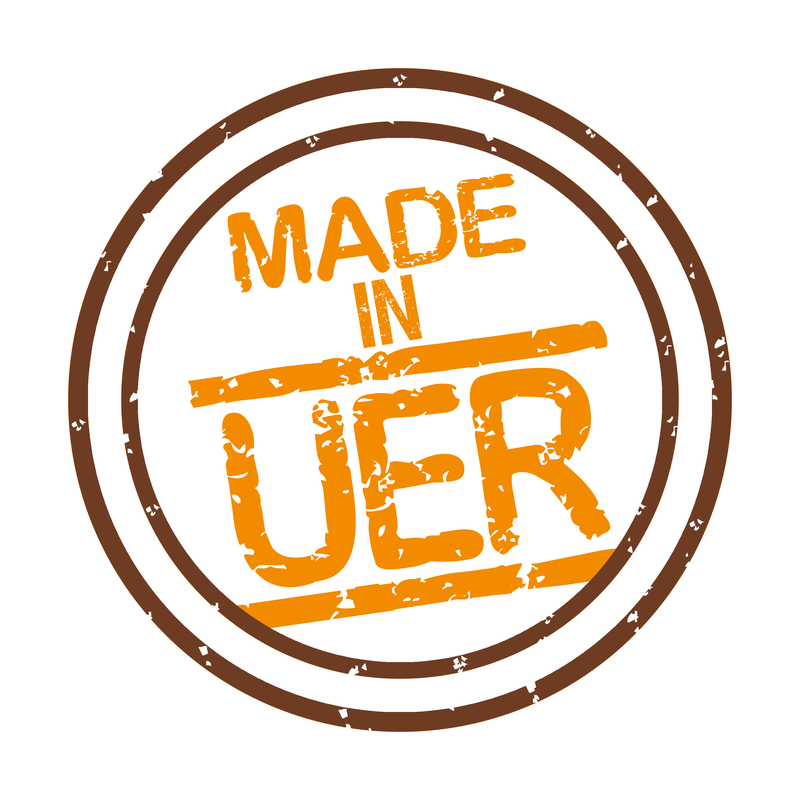 The UER selects tutors among professors, researchers and collaborators. The optimal ratio between tutors and students is identified on a 1 to 5 scale. The student arranges with her/his tutor the frequency of individual meetings in order to follow her/his personal needs. The tutor does not replace but supports the educational assistance of teaching chairs. Therefore, it integrates the professors’ office hours for students. The Centre for Integral Training (CEFI) completes the academic training with the development of individual talents. The European University of Rome has the aim of developing a positive role model for ethical leadership based on preparation, loyalty and courage, developing the soft skills of each person. Not only study, but much more: the CEFI organizes many leisure activities, integrating them into the student’s academic day without overlapping with the exam timetable. Theater workshop, choir, journalism and management of social networks become an integrative part of the curriculum of the student. By helping, you learn: great attention is always dedicated to the programme of social responsibility activities for the development of human qualities, such as cooperation and team spirit. Missions in Mexico represent the most complete example of these programmes. Each year students can participate in community support activities for families in need throughout Mexico. Participants are always very satiesfied with the programme. The EUR inserts some historical-social and humanistic philosophical teachings in every degree programme, considering them valuable components for the personal preparation of the student, because the working world is shifting its focus from technical skills to human competences and we are aware that this lack of information can be more easily retrieved than an educational and training deficiency. The teachings and humanistic training seminars are intended to promote a structured knowledge and a thorough understanding of the human person, which can stimulate big questions about the meaning of life and sincere search for what’s true and good, helping the student to form a deeper understanding and a clearer conscience to properly interpret reality. This will also foster the responsible exercise of the future profession, contributing to the common good. In this sense, the Departmental Centre of Integral Formation (CEFI) proposes some specific academic subjects, transversely distributed in all spheres and at all course levels during the entire university education. Each course lasts one year; in addition to lectures, there are many seminar-like meetings (presentations by students, discussions, group works). Teachers of Humanistic Education are particularly dedicated to establishing a close and trusting relationship with students, accompanying them along the college path and acting as a natural reference point for the maturation of their personality through the study. Warning: for students enrolled before the academic year 2016-2017 who have not yet done or completed this activity, we renewed the call to get in touch with CEFI to check your status. Expose the student to social dynamics, the active exercise of solidarity and the awareness of the social value of professional commitment. The social responsibility programmes is divided into participation in a training programme and a social action workshop chosen by the student. It consists in carrying out practical activities in the context of initiatives or projects undertaken by the EUR or in public or private bodies or third sector organizations (mainly NGOs), affiliated with the EUR. According to the agreement with each organization, the student is assisted by a supervisor, who evaluates his commitment and the quality of his contribution and verifies the appropriateness of his actions. Indeed, the credit recognition is individual. In order to ensure the quality of the learning experience, workshops are limited. The student must apply by completing this form, in which three choices in order of priority must be indicated. In case the number of applications exceeds the previewed amount of vacancies, the CEFI will take into account the aplication date. Follow this link the see the activity offer and further information about the workshops. For students exempted from attendance (e.g. those who benefit from the status of part-time student) there is an alternative social responsibility programme. The European University of Rome organizes and manages some activities – called “programmes of excellence” – aimed at distinguished students in several ways. The programme, managed by the CEFI, was created to promote and encourage the integrative development of students with strong human qualities and academic performance. The Academic Excellence Program is coordinated by CEFI with the help of each degree course to facilitate and encourage the comprenhensive development of students with strong human qualities and academic performance. Its specific objective is to train people able to exert a positive action in society, distinguished both for the professional preparation and for commitment in building relationships based on respect for life and the individual, love, freedom and social justice. The programme is structured in such a way that promotes the active and full participation of students, according to a schedule that is updated and complete during the academic year. The organization and participation as speakers and /or negotiators in symposiums, conferences, seminars and meetings with professionals from different backgrounds: entrepreneurs, scientists, politicians, artists, journalists, religious figures, sportsmen. Participation in conferences and cultural international projects, in Italy and abroad. Participation in the programme is open and voluntary. The selection of candidates will take place after an interview that each candidate will have to sustain, also considering her/his academic achievement and her/his participation in training activities. The human excellence programme aims to enable a personal awareness and develop the abilities of those students who are interested in addressing the daily challenges and assuming its responsibility. Through an “integrative development” training programme with opportunities for discussion, debate, involvement in current issues, insights and reflections, the programme helps students to expand their vision of the world and to understand the many facets of the context in which they operate. The discussed topics will cover the features of relationships, team-work and becoming a reference for others, starting from the attitudes of each student in order to enhance her/his “skills of excellence”. Participation in the Human Excellence Programme is voluntary and allows the recognition of 6 credits as an “elective course”, if followed when the year’s curriculum includes it. In order to encourage socialization among students and promote encounter, friendship and cooperation, the European University of Rome offers its students a wide range of extracurricular activities in the social, cultural, artistic, sports, tourism, entertainment, publishing and multimedia world, such as theater, musical, literary, artistic and communication workshops; lectures, conferences and debates on current affairs; film club, recreational tournaments; guided visits to venues with historical and artistic relevance, to companies, to newspapers, radio and television stations, to sports clubs; trips abroad and meetings with eminent personalities of culture, politics, science, economics, entertainment and religion . The European University of Rome also pays particular attention to sports: works for the establishment of a College Sports Group, enters into agreements with facilities and sports centres and organises competitions and tournaments. The EUR encourages students to push themselves by being also promoters and organisers, becoming capable of managing an artistic or cultural event. A cultural education at university level can not be reduced to the study of subjects included in the academic programmes, but must be extended to the fundamental issues affecting contemporary society. In line with this perspective, the European University of Rome regularly organises meetings, conferences and debates, counting on eminent personalities from the cultural, artistic, scientific and religious sphere. The project aims at training students from a musical point of view, involving the global development of the person. First, the focus is on the proper use of voice, through diaphragmatic breathing and sound outputs exercises. A good technical approach makes possible to face songs of all genres, with a growing and wide repertoire for the most important events of the year. Each song and author is historically framed and musically analyzed. Choral singing is a human experience and also a highly formative spiritual one. Singing together is a socialization tool, using teamwork to achieve good results and exercise humility. Choral activities enhance concentration and sharpen sensitivity, develop the musical ear and exercise perseverance and patience. study of the repertoire established by the choir director. Rehearsals are held every Monday and Wednesday at 13:30 on the third floor, hallway B. There are several sporting activities organized by the UER, for example, the football tournament, reserved for students and staff of the EUR/APRA, is now in its fifth edition. The European University of Rome participates in the football championship of the Universities of Rome, the only football tournament in Italy of this kind. Besides being a major sporting event, it is a great opportunity for learning and sharing experiences with students from other universities in the city of Rome. During the academic year, more tournaments, sporting events and leisure activities are organized, including those requested by students. This year we have a female football team, which trains weekly and has the chance to participate in friendly competitions and triangular tournaments with teams from other universities of Rome. The activity includes a series of training sessions to learn how to play volleyball and enhance training; during the year friendly matches are planned with the teams of other universities of Rome and other university tournaments and / or summer competitions (beach volleyball activities). The EUR signs agreements with sports facilities, cinemas, theaters, museums and restaurants, so that its students and employees can benefit from concessional terms. The Library is in charge of preserving books, magazines, theses, handouts and make them available to professors and students. It also provides users with the necessary assistance for the proper use of the library and the search of needed information. The library is part of the National Library Service and of the cultural institute association of Rome (Polo degli Istituti Culturali di Roma). See our complete catalogue.You can also have a look at some of our magazines, through the ESSPER association website. The library became part of ACNP, the Italian catalogue of periodicals. The portal allows users to track the periodicals owned by the most important Italian libraries. Mind the bank holidays when the library closes: 1st November, 8th December, 6th January, Holy Thursday, Holy Friday, Holy Saturday, 25th April, 1st May, 2nd June, 29th June, 24th December (only during the afternoon), 31st December. A new and innovative cafeteria, recently refurbished according to the latest ergonomic and livability criteria. The coffee shop offers a high quality service and a wide variety of menus to comfortably accommodate all visitors of the EUR. In addition, the cafeteria is also a place where you can charge your digital devices, study and work on projects. The European University of Rome, in line with its institutional purposes, has established a pastoral centre for its students, committed to all those aspects that contribute to the integrative development of the individual. Coordinated by Legionaries of Christ and collaborating with members of the Regnum Christi and other church bodies, the University Chaplaincy provides services aimed at the spiritual and apostolic development, reaching out to students and University employees.